Milton Abbey Gold Trophy. 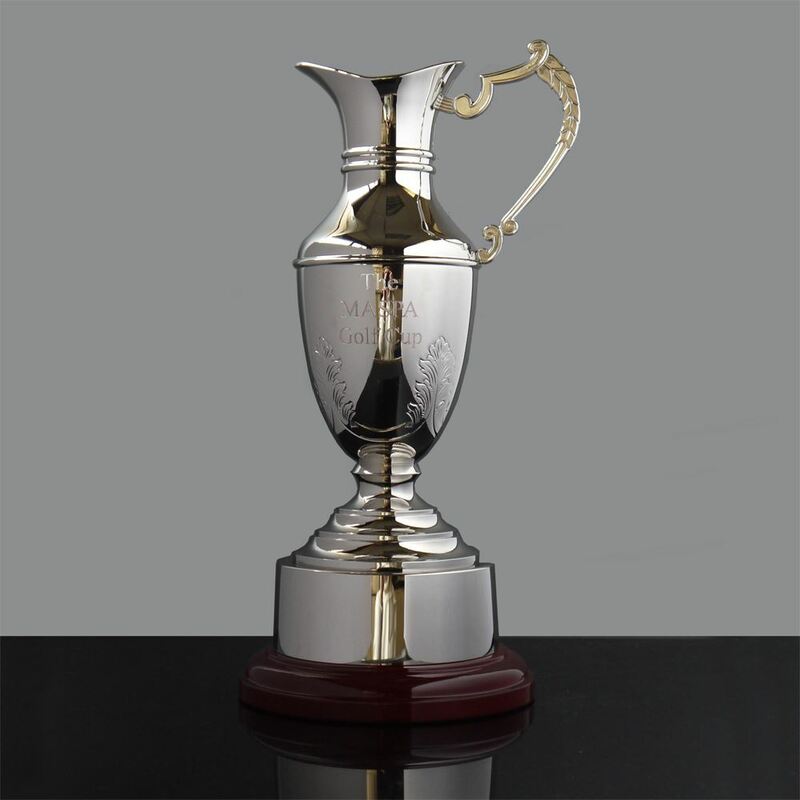 A nickel plate claret jug with plinth, standing 32 cms tall, made for the inaugural Milton Abbey parent Association Golf Day in 2018. A nickel plate claret jug with plinth, standing 32 cms tall, made for the inaugural Milton Abbey parent Association Golf Day in 2018.